BIMBOLA OKUTINYANG SERVES AS FOUNDER OF CONNECTING HEARTS FOR WOMEN INITIATIVE WHICH IS ONE OF THE PARTNERING ORGANISATIONS FOR WISE WOMEN AWARDS NIGERIA. Bimbola Okutinyang, the host of the annual Connecting Hearts Conferences serves as the president of Connecting Hearts Initiative, an NGO that helps women and youth across Nigeria to discover their identity in Christ. Known for her innate gift of nurturing and her love for God and strong passion to develop Godly women and youth, Bimbola has, for over 20 years made valuable input into the lives of many who today are fulfilling God’s purpose for their lives in various capacities. An astute Business woman, and a Graduate of botany Bimbola is also the COO of the reputable BIMS Living Gardens, an event decorating and horticultural outfit. Her love for beauty and nature has kept her in this profession for over two decades with a network of satisfied clients. 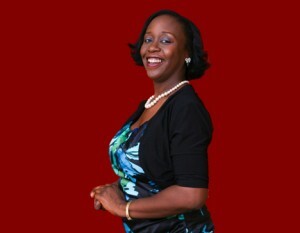 Mrs Okutinyang is well travelled and comes on board with varied life experiences. She is married to Engr. Mbim Okutiyang and they are blessed with three wonderful children.